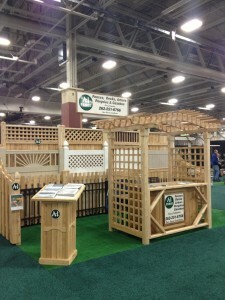 The Realtor’s Home and Garden Show is here again. It’s a great way to kick off the spring season because it’s a lovely place to get all sorts of grand new ideas. We’re going to be there as one of the exhibitors, so we thought we’d take a moment to give you just a few details about this seriously cool show. For example, you won’t want to miss the Solutions Stage, or the Cooking Patio Stage. There’s going to be a lot of great information passed on at these seminars. There are also gardens to explore. Every year different landscaping companies put together garden exhibits, which are judged for prizes. It’s a nice opportunity to walk around some seriously pretty spaces. The booths, of course, are going to be a ton of fun as well. You can talk to different contractors. There are also exhibitors who sell smaller stuff right on site, so it’s a good time to pick up some new garden accessories for your lawn as well. Treat yourself for making it through the nasty winter we just all suffered through. It runs for two weekends at the Wisconsin Exhibition Center: March 20 through the 22nd and March 25 through March 29. We’ll be there both weekends showing people how they can use our fences, pergolas, and gazebos to enhance their lawn and landscape. Stop by and say hi! If you order tickets online right now you can get them for a discounted rate, too–just $6. Get your tickets here. We’re really excited about this and we hope you are too.